Ralyn offers three different kinds of shoe polishes: Cream, Wax or Self Shine. Cream polish moisturizes leather and keeps it flexible. It soaks into the leather and allows leather to breathe. Cream polish is good at restoring shoe color, but it is not as good as wax polish in repairing scuffs. 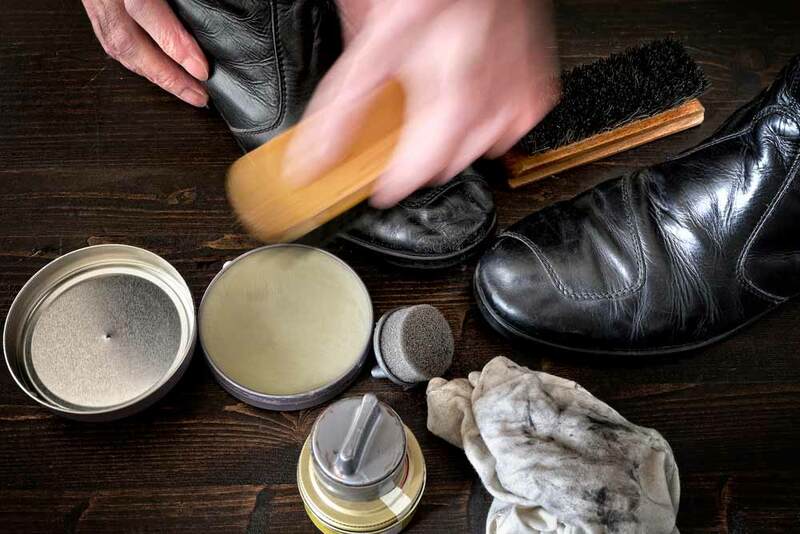 Wax polish shines leather better than cream, but it seal the leather and may cause it to dry out over time. Wax is most effective at covering scuffs. Self Shine Polish is great for travel as it does not require any extra steps to apply. Just us the supplied sponge applicator to spread the polish onto the leather, because of its formulation it will dry to a nice shine without buffing. Self Shine polish provides quick, on the spot performance, but a more thorough and lasting shine is obtained by using a Cream Polish.